Wiha is the first hand tool manufacturer in the world who has been awarded the AGR seal of distinction which confirms the effectiveness and benefits of its ergonomic screwdriver handle size concept and the Inomic pliers handle concept. The AGR (Aktion Gesunder Rücken e.V. – German Campaign for Healthier Backs) gave the tool manufacturer the award of distinction after a series of comprehensive tests carried out by doctors and professional therapists, in which the handle design was meticulously analysed. As one of the leading producers of hand tools and 2014 MX Award winner as the "Best SME in Germany", Wiha Werkzeuge GmbH has always opted for an ergonomic handle size concept throughout its fastening tools in the SoftFinish, SoftFinish electric, SoftFinish ESD and MicroFinish ranges. It aims to ensure more comfortable, longer and above all pain-free work for users. 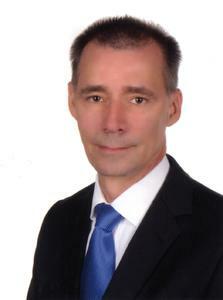 This concept has now also received AGR approval through its AGR quality seal. For many years, the AGR has been dedicated to promoting and researching the prevention of back pain. It also offers recommendations on products that help to prevent musculoskeletal disorders and back pain. In light of its strict test criteria and the composition of the independent committee with renowned medical experts, the AGR quality seal also enjoys a high level of approval within the medical community. Distinguished products therefore carry the recommendation of doctors and therapists. This test committee has now decided to award this prestigious seal to Wiha's ergonomic handle size concept. Particular praise was given to the fact that, in contrast to most standard handles by tool manufacturers, the small handles fit optimally in the hand for the highest level of precision and control, whilst the large handles are ideal for powerful fastening with the integrated hard and soft zones. 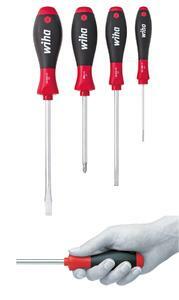 This intelligent concept with four screwdriver handle sizes and lengths optimally adapted to the specific fastening or task helps users to minimise or even prevent musculoskeletal disorders and pain in joints and muscles. 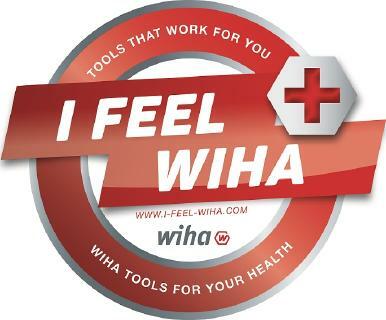 "The distinction of our screwdriver handle size concept serves as proof that Wiha tools not only enable users to work efficiently, but also in a health-conscious manner. Especially for specialist workers and companies, these tools offer huge added value, since complaints, typical work-related illnesses or even long-term damage to joints, muscles and tendons are prevented, thus minimising absences from work. The optimal power transmission of the handle, specifically adapted to the different fastenings, offers comfortable and extremely efficient work for users. 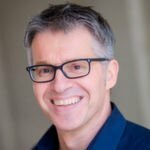 Our formula is simple: less force, less pain, but better results and health," emphasises Ronny Lindskog, European Sales and Marketing Manager at Wiha Werkzeuge GmbH. Alongside the distinguished handle size concept, Wiha's Inomic pliers handle concept also carries the AGR seal of approval. Thanks to ergonomic handling, it also offers users the opportunity to work for longer periods whilst protecting muscles. For the tool manufacturer, such recognition means proven professionalism in terms of its user orientation and high-quality, innovative developments. 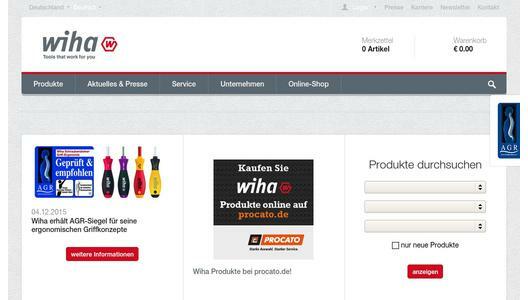 Wiha is one of the world's leading manufacturers of hand tools for professional use in industry and trade and is based in Schonach, Germany, in the Black Forest. For the past 75 years, the name Wiha has stood for innovative tools of the highest quality in the field of screwdrivers, torque tools, L-keys, bits, soft-faced hammers, pliers, measuring tools and articulated hoses. Numerous awards underpin this claim to leadership in function and design. In addition, the company was awarded the 2014 Manufacturing Excellence Award (MX Award) for Best Small-and-Medium Sized Enterprise in Germany. Around 800 employees currently produce and sell more than 3,500 premium tools.